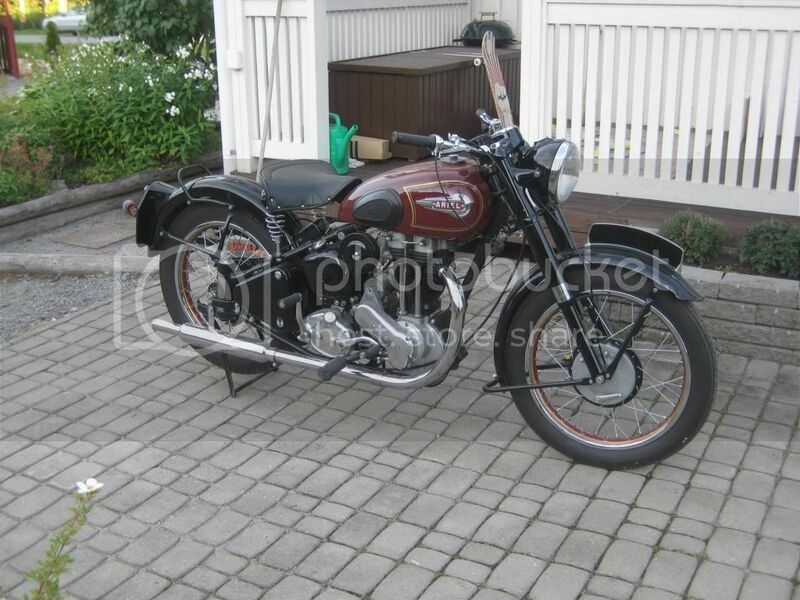 I come from Finland and my hobbies are related to all kind of metal working and especially an old British motorcycles and restoring them. I am looking for a suitable forum to start my new Project in the near future, so I thought is this a good Place with friendly people? I have a small shop with Basic tools and have tried all kind from metals, forming to casting with different success. My English is not brilliant but I get along with it. Good to have you here. And also looking forward to the project. You've come to the right place, for your project. Thanks guys. This sounds a good place. I am middle age and have been fumble with British motorcycles about 15-20 years and with metal most of my life, I have more or less experience in about everything with metal working. I have been making lots of parts for my bikes over the years. Most interesting are British bikes from pre war era. I need to finish the bike I am building in an other forum before I start a new project here. Best I've see is on the wall at local engineering works- large board with selection of hammers labelled from "small problem" 8oz hammer to" large problem "2Kg sledge hammer, then a large note which says "if these solutions fail you have an electrical problem"
I once workked on one papermill in Sweden where we labeled one sledge hammer with "Finntrim", it got used so often and we took all the credit. Interesting stuff you have. Please show off some. Welcome to MadModder. We would be interested to see some of the Motorcycles you have restored. Here is a photo about an Ariel 500 I have restored.